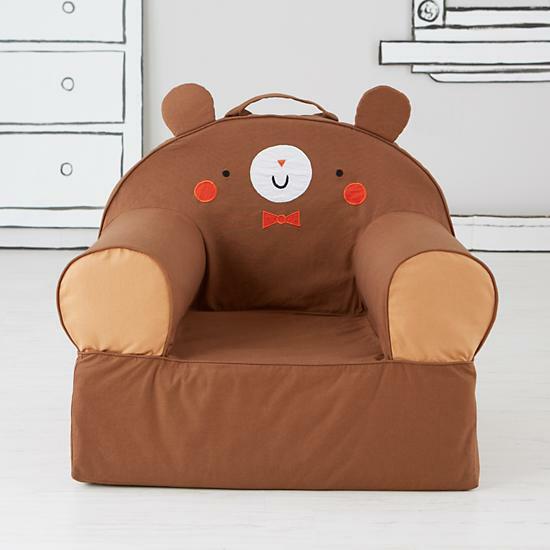 If you have been looking for a cute and functional chair for your kid’s room, look no further. 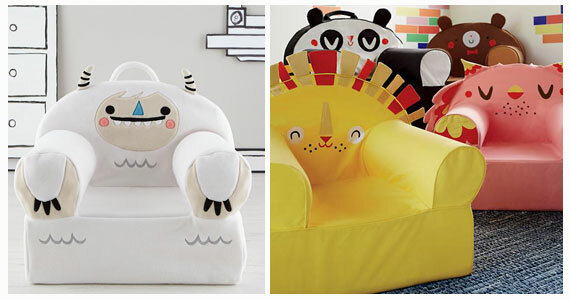 Land of Nod has released a new line of pet chairs and we have fallen in love! You would think our favorite design would be the Yeti (yes, they have a YETI chair! ), but then I look at that ridiculous bear, panda and wolf and I’m back to square one. The designs are designed by our friend Michelle Romo of Crowded Teeth. We cannot wait to get our hands on these and add them to our Crowded Teeth Collection. 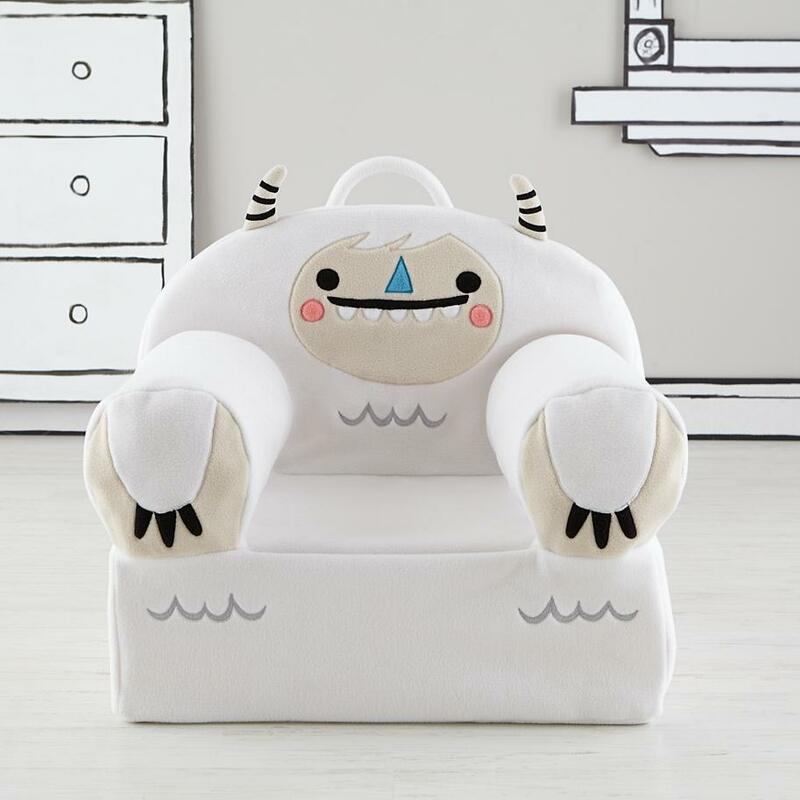 Yeti Pet Nod Chair The Executive Fuzzy Pet Nod Chair is the ideal frameless seat for kids. Not only are they slightly larger than the original Nod Chair, but now they’re easier than ever to assemble. 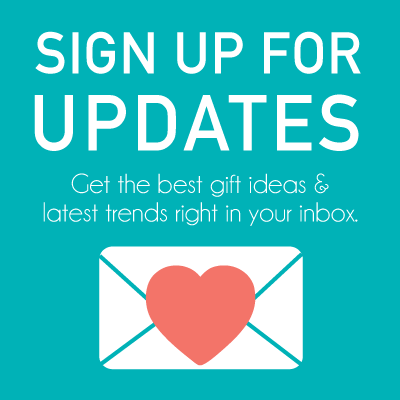 Featuring a charming Yeti design by artist Michelle Romo, their covers are machine washable, making them a breeze to clean up. Bear Pet Nod Chair Each chair has a back pocket that is ideal for book storage. 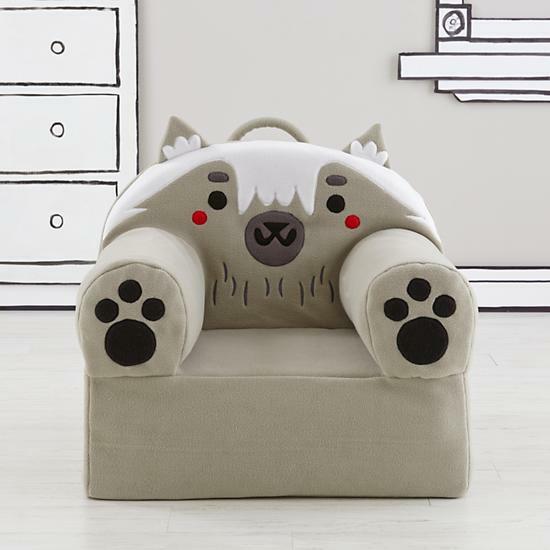 Wolf Pet Nod Chair. Each chair can be personalized with a child’s name (up to 12 letters long) and features carefully chosen thread to best showcase the name on your chosen fabric. 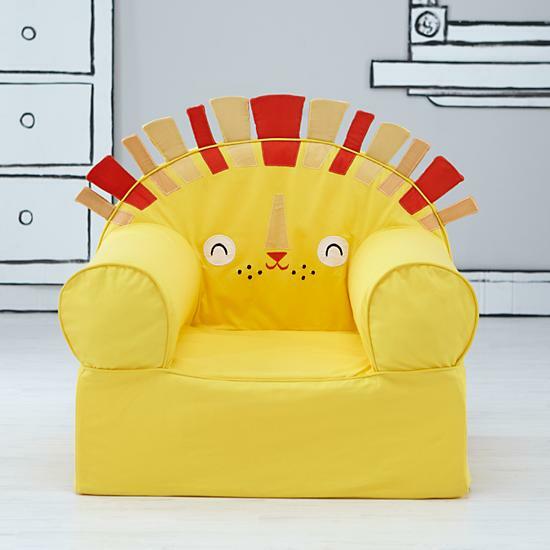 Lion Pet Nod Chair will make a perfect bundle gift with the Crowded Teeth Chubby Book! 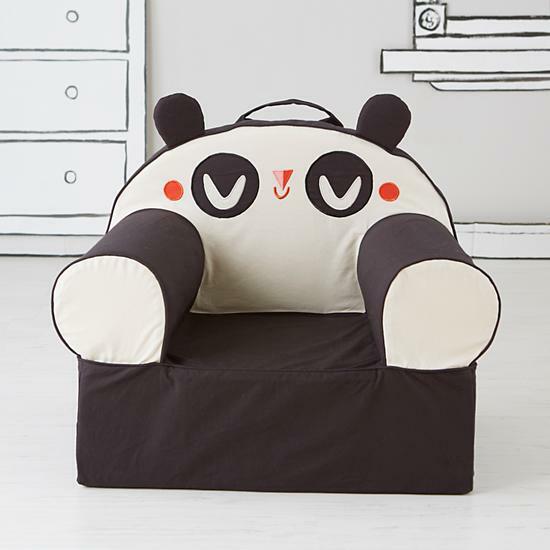 Panda Pet Nod Chair add a Rainbow Bear Necklace and give a colorful Crowded Teeth gift bundle. Argh! Fancy a Free Donut Matey?